John Ashbery writes like no one else among contemporary American poets. In the construction of his intricate patterns, he uses words much as the contemporary painter uses form and color- words painstakingly chosen as conveyors of precise meaning, not as representations of sound. These linked in unexpected juxtapositions, at first glance unrelated and even anarchic, in the end create by their clashing interplay a structure of dazzling brilliance and strong emotional impact. From this preoccupation arises a poetry that passes beyond conventional limits into a highly individual realm of effectiveness, one that may be roughly likened to the visual world of Surrealist painting. Some will find Mr. Ashbery's work difficult, even forbidding; but those who are sensitive to new directions in ideas and the arts will discover here much to quicken and delight them. A 35th anniversary edition of classic work from a celebrated American poet who has received the Pulitzer Prize, the national Book Award, and the national Book Critics Circle Award. 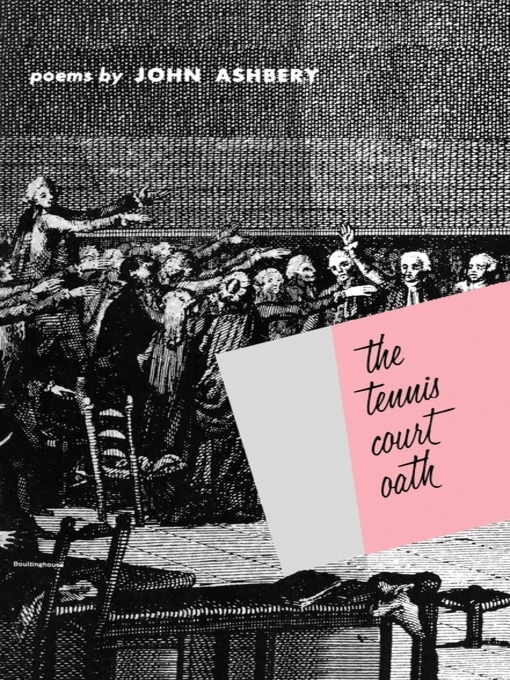 John Ashbery's second book, The Tennis Court Oaths, first published by Wesleyan in 1962, remains a touchstone of contemporary avant-garde poetry.